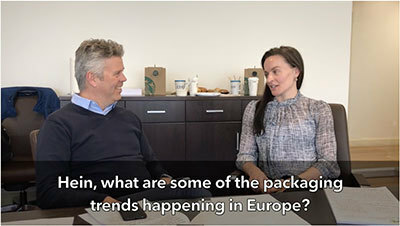 Hein Haerinck, EMEA Sales, CDF in Belgium, tells us in the video here about a couple of the current packaging trends in Europe. One of the trends is the increased use of bag-in-box intermediate bulk container (IBC) liners in the cosmetic and pharmaceutical industries—which means they are stepping away from rigid IBCs or drums. While bag-in-box options have been used extensively in the U.S., Hein tells us it is a big trend in Europe now. Hein also discusses the legislative change in France that mandates that all liner valves be bisphenol A (BPA)-free. We had further discussion with Hein offline to find out more about both of these trends. Let’s begin with a little background on the BPA ban in France. As of 2015, there was a second phase of this legislation that took effect that prohibits the use of BPA in all packaging, containers, and utensils used in direct contact with food. This is an important development in the food and packaging industries. Liners, commonly used in bag-in-box products, have valves in them to help dispense bulk materials—liquids, semi-liquid, and viscous materials. As well, the valves can be re-used, so need to endure sterilization, such as steaming, to be cleaned thoroughly and appropriately. The BPA-free plastic valve that CDF uses—the first and only one on the market—can withstand this rigorous cleaning. Another important consideration to note with regard to the zero-tolerance BPA laws in France: regardless of which European country a company “resides” in, this law will affect the rest of the European packaging market, as the restriction in France will prohibit anyone from doing business there if the dispenser valves are not BPA-free. 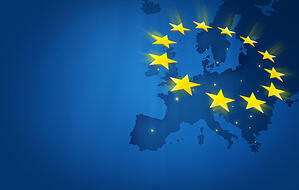 There are limited tolerances for BPA in neighboring European countries, but it is a matter of time that the zero-tolerance ban will be adopted in other European countries; and with some European-based companies doing business in the States, quite probably, U.S. adoption is also on the horizon. The good news it that CDF valves are available to everyone, regardless of the country of origin. The valves are all the same size, made to European standards, and with a coupler, can easily be used in the U.S. Think about the real-world application with a rigid or stainless-steel IBC: because there is no liner, the container itself has to be cleaned after use, as it is in primary contact with the product. Imagine the drain on resources, exhaustive protocols, and costly expenses involved with sanitizing the IBCs. That’s all to prevent contamination upon re-use. And if there is a breach in any of the protocols that causes contamination for the next product filled into this container, think of the liability on top of all that! You’ll increase your overall efficiency with liners, as well. It’s simple: place the liner in and you are ready to fill. With the break-down and clean-up needed prior to refilling, that’s a savings of at least an hour a package. Multiply that by every IBC you process; that’s a lot of math that ultimately adds up to more time and money! Let’s talk about some other benefits that cosmetic and pharmaceutical companies particularly like. Easy switch to flexible, low-cost option. The shift to liners for IBCs is a low-cost option compared to having a “fleet” of rigid or steel pails; in the true sense of the word, offering—literally—flexible packaging solutions all around. Built-in quality control. As discussed above, the increased control on purity provides built-in quality improvement. Fuller evacuation; less residue left behind. When dealing with thick viscous products, such as mascara or cream, for instance, it’s difficult to remove all of the product from a rigid or steel pail. Liners evacuate more of the product, leaving less residue, wasting less product—saving more money. Eliminates product disposal. As stated above, rigid or steel pails leave product residue behind, which requires proper disposal—again resulting in money and time lost. When using liners, end users do not have to deal with costly product disposal. Improved sustainability profile. Rigid plastic pails are manufactured with a tremendous amount of plastic. Clearly, bag-in-box with liners require much less plastic, have a more favorable disposal and recycling profile, and save time, money, and efficiency with transportation and storage. This latest point leads us to another aspect of the trend in regard to liners: Form-fit and the Air-Assist liners. Traditional liners are pillow liners, which do boast the benefits noted above, with Form-fit liners providing an enhanced level of efficiency and ease of use. As you might imagine, Form-fit liners are manufactured to form fit the internal shape of your intermediate bulk container. Form-fit IBC liners provide high performance in critical applications, such as top-fill applications using a bridge or automated filler; containers with no access doors for placing a liner at the bottom; or high speed fills and viscous products that would get caught in the folds of pillow-shaped liners. Air-Assist liners are specially designed for convenient dispense and improved evacuation of high viscosity products, providing a smooth flow of product. The Air-Assist liner features a Form-fit liner with an attached air bladder. As the air bladder is inflated, it pushes against the Form-fit liner, forcing the viscous product out of the bottom dispense fitment, resulting in less residual product left in the liner. In addition, the Air-Assist liner is hands-free; after attaching the air supply system, the operator can walk away during dispense. Cosmetic and Pharmaceutical Industries Are Switching! No wonder the cosmetic and pharmaceutical industries are switching to liners for use in their IBCs. Here’s a quick recap of why liners are a flexible solution that makes sense! If you’ve been thinking about changing your current IBCs to a flexible option that provides you, well, flexibility, now is the time. Changing a long-standing status quo can feel daunting, but many in your industry have already done it! Explore your options to save time and money. Let’s discuss your new solution today—give us a call or reach out to us. We’re happy to talk with you and provide a free consultation to help you make the right choice for your needs.